It’s time to get your thinking caps on! Voting for The Wedding Industry Awards 2015 closes on Friday 24th October 2014 and that means that you now have less than a month to canvas your clients for their input. As you by no doubt know, The Wedding Industry Awards thrives on the votes of real brides and grooms. It is through their feedback that the regional shortlist is drawn up and it is their opinion that helps our judging panel know where to look for the very best wedding businesses in the country. So, it is obviously vital that as many of your clients who you have worked for since 1st November 2014 take five minutes out of their day to tell us about why they picked you to work on their wedding and what it was that they loved about your work. Send them a reminder of the work you did on their wedding – a framed print, a CD of their wedding soundtrack, a sprig of flowers used in their bouquet. They’ll love the memento and the handwritten note you include to ask for their support will be a wonderful surprise. 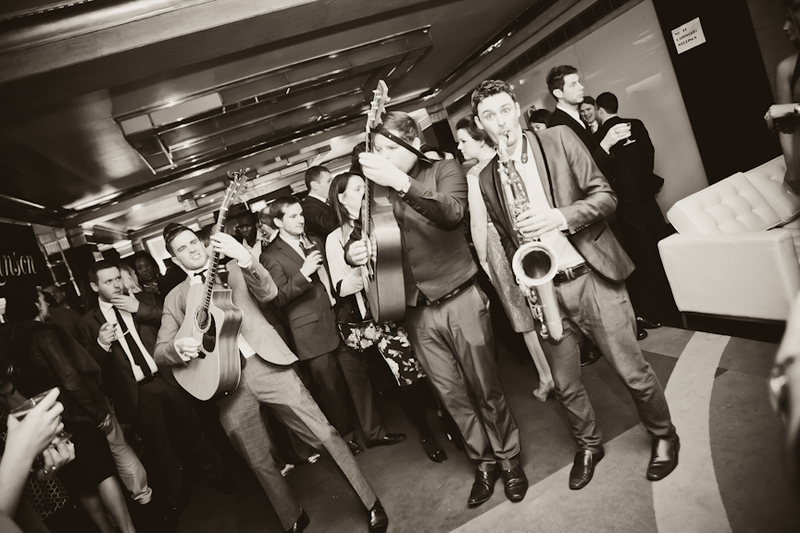 Blog their wedding – you’d be surprised how many people love seeing their faces on the internet! If you’re behind on your blogging, now’s the time to get up to date with your editorial schedule, even if you’ve only got Instagram snaps of your part in their day. It’s always nice to see a wedding day from different suppliers’ points of view and if you let your clients know when it’s published they’ll be sure to share it with friends and family, as well as get their voting skates on. Update your social media – a lot of brides still like to quietly keep an eye on their wedding suppliers after the big day, so make sure you’re putting it out there that you’re part of the awards this year and need the votes of your treasured clients. 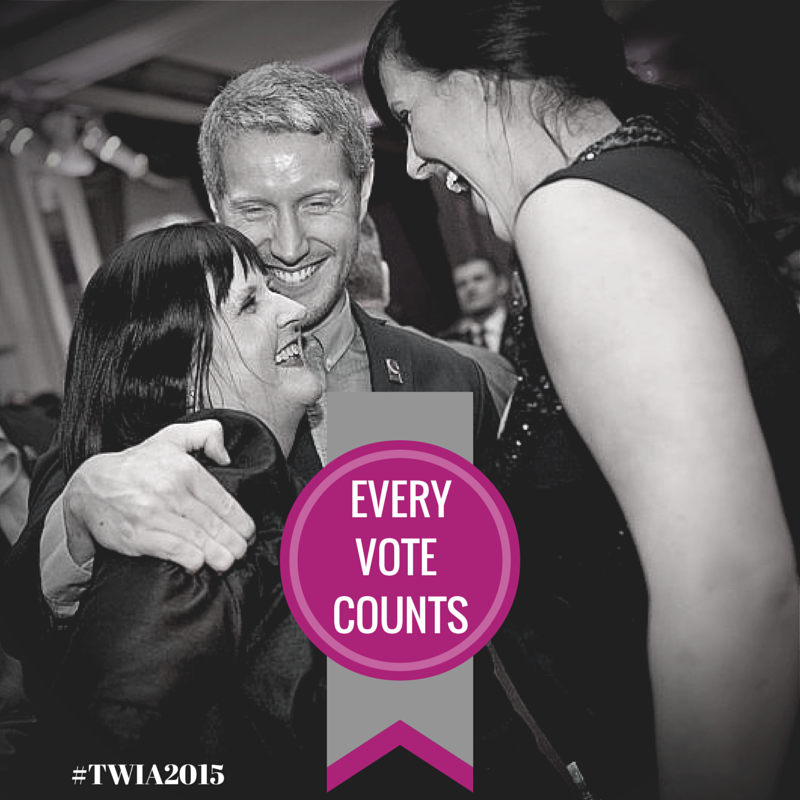 Outline what you need – when you contact your clients, make it clear that not only will voting in TWIA2015 take up very little of their time, but also that all and any feedback that they leave will be anonymous. None of their comments will be identified as having come from them. Give credit where it’s due – by voting for you, your clients are shaping the face of the wedding industry. It might just be a few minutes of clicking on a website whilst having a cuppa, but ultimately, their input helps separate the wheat from the chaff of the wedding industry. Their votes are doing a favour for future brides and grooms who are looking for the very best wedding suppliers that they can trust on their big day. The main thing to remember is that it’s only your modesty holding your back; chances are that your clients are going to be only too delighted to vote for you. You should view this as an opportunity to reconnect with your clients, see how married life is treating them and remind yourself (and them!) why you were such a dream team working together! 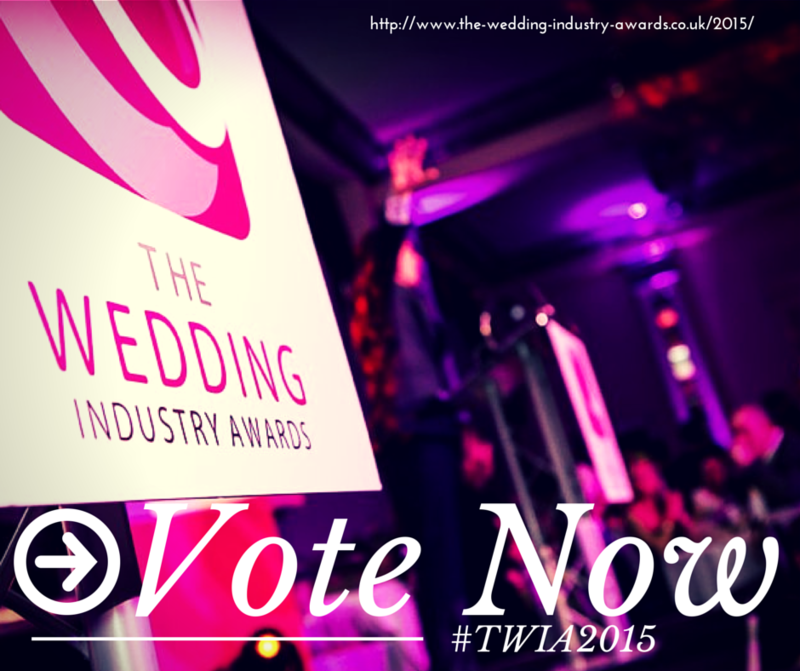 If you have already entered The Wedding Industry Awards 2015, your clients can vote for you here as long as you worked on their wedding between 01.11.2013 and 24.10.2014. Good luck! This looks like an excellent way to showcase a wedding photography business. I’ll keep this in mind for next year.